Autumn is here in Yorkshire now, and the leaves are just beginning to turn on the trees. 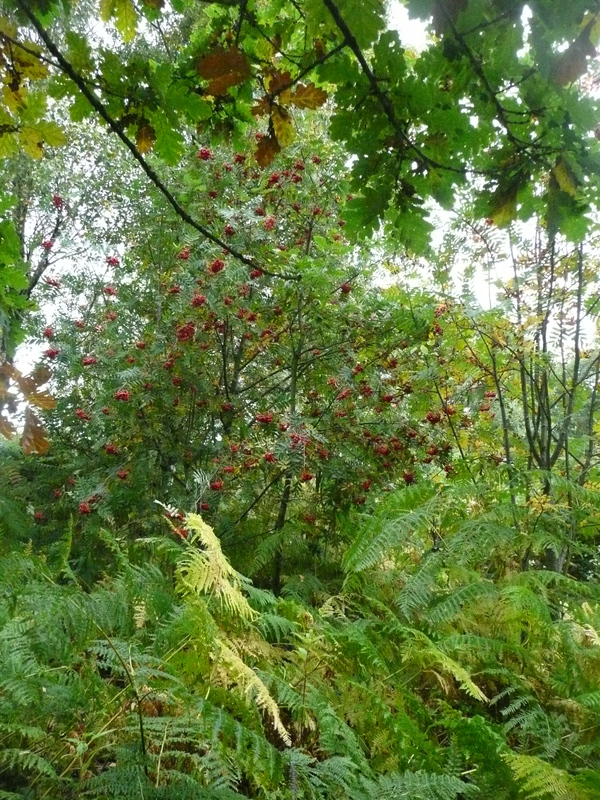 When I go for my walk on the moors with my dog, we can tell that winter is approaching: blackberries and bilberries in abundance for the picking; the bracken turning from deep green to dusty gold; and – my favourite autumn sight – the rowan trees are covered with dark red berries. There are dozens and dozens of rowan trees in one particular spot where I walk, dotted all over the moors. I love to see the contrast between the red and the green. There are also acorns and hazelnuts, and I see plenty of squirrels, squirrelling away! I belong to a group of authors called Exquisite Quills, and in readiness for those dark winter evenings we are producing an anthology of heart-warming holiday stories. I’ve already finished my own short story – and I can’t wait to read the stories written by the other authors in my group! In the meantime, here’s a glimpse of the wonderful wintry cover, designed by Cover Artist Carey Abbot. Before we put the anthology together, we had a discussion about what type of story should appear in a winter holiday anthology. We came to a decision that most readers would prefer something heart-warming at this time of the year – something with a happy ending, or at least happy for now, to get us through the dark winter months. What do you think? Do you agree that most people like an uplifting story around the Christmas period, or do you think there is a place for ‘Winter Chills’? And what do you think of Carey’s wonderful cover? If you have any comments at all, please let me know – I’d love to hear from you! I agree with uplifting stories around the winter and holidays. It can be a depressing time. Hi Neeks, I agree. Christmas can be pretty stressful at times, and yet there’s so much expectation that everyone should be cheerful. Getting immersed in an uplifting story is a great spirit-booster. 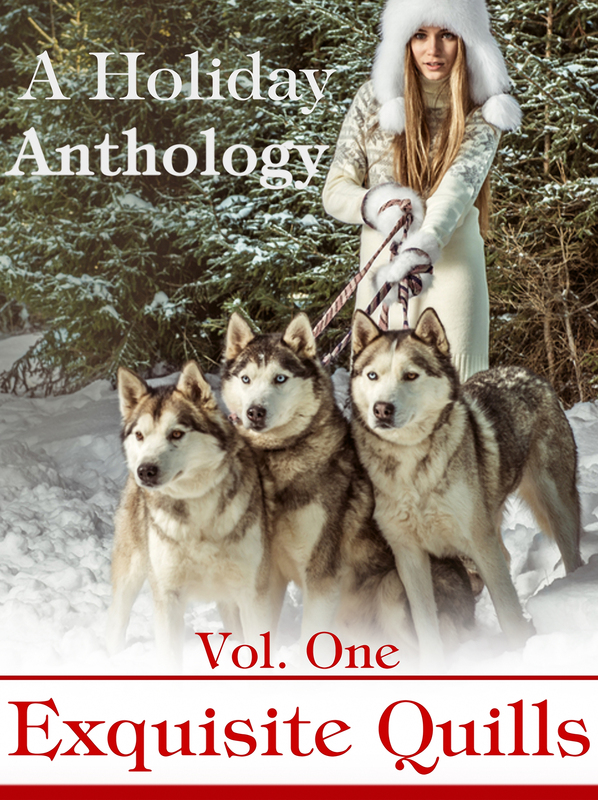 If you download our anthology, I hope you find some stories that appeal. Thanks for your comment! What a brilliant idea! I look forward to enjoying your group’s anthology. And for free? Exquiste gift in the gift giving season. Definitely HEA for winter I don’t know why but the cover did not show up on my screen. Just a large square. In the spring I look forward to discovering your dark side..makes me giggle to think you have a darker side…Hmmm….Writers are complicated beings. Hi JQ, thanks for pointing out about the cover. i don’t know why the image disappeared :( I’ve re-imported it, so I hope it shows up OK now. I really love it – so i hope it’s there. I’m glad you agree on the HEA for winter. To be honest, I am struggling with my darker side at the moment. Maybe the stress of Christmas shopping might bring it out. I’ll delve deep! Thanks very much for coming by! Found the book cover with kindle. Striking. Best wishes! But I love your idea and will certainly pass it along. I’m a died in the wool HEA fan for any time of year (Yes, especially good for Christmas. It can be a really hard holiday for some folks.) I’m reserving judgment about the darker stories. :) We’ve got so much bad going on in the world. When I pick up my Nook, I want HEA. Helena, sounds like a great plan. Would you like to talk about the book on my blog? I’m doing winter-themed books in December. Send me an email and I can send along questions. That would be brilliant, Penny, thanks! I’ll send you an email. Thanks for coming by! Hi Helena, your post about the Exquisite Quills Winter Anthology was wonderful, as well as your description of your walks along the moors. Beautifully done. I’m also one of the authors in the Anthology. I heartily vote for HEA any time of the year. And, yes, the cover is gorgeous.